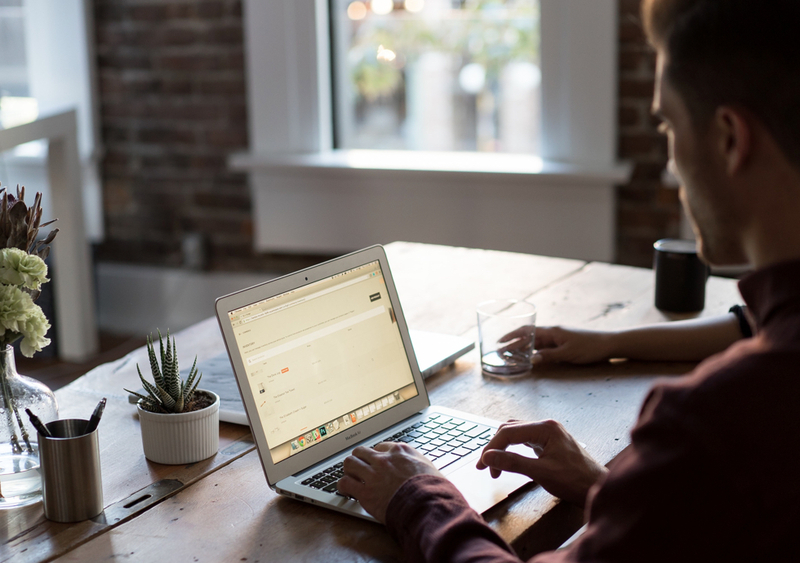 I’m buying a shed in Caboolture, what shed do I need? 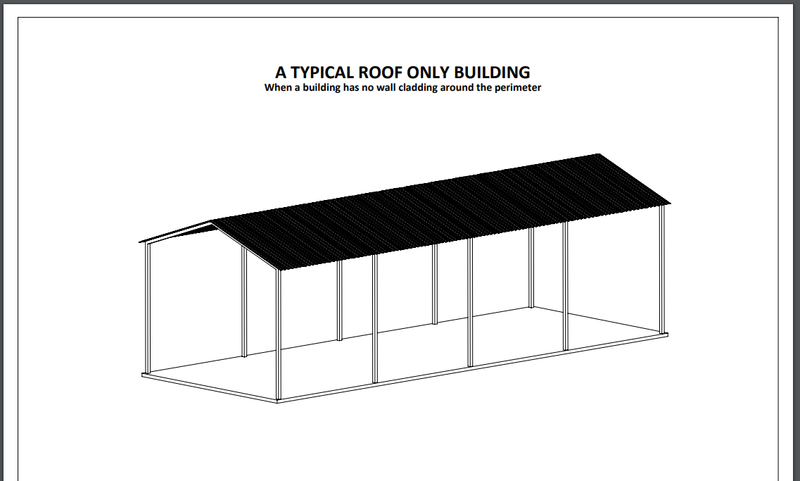 I’m buying a shed in Cairns, what shed do I need.? 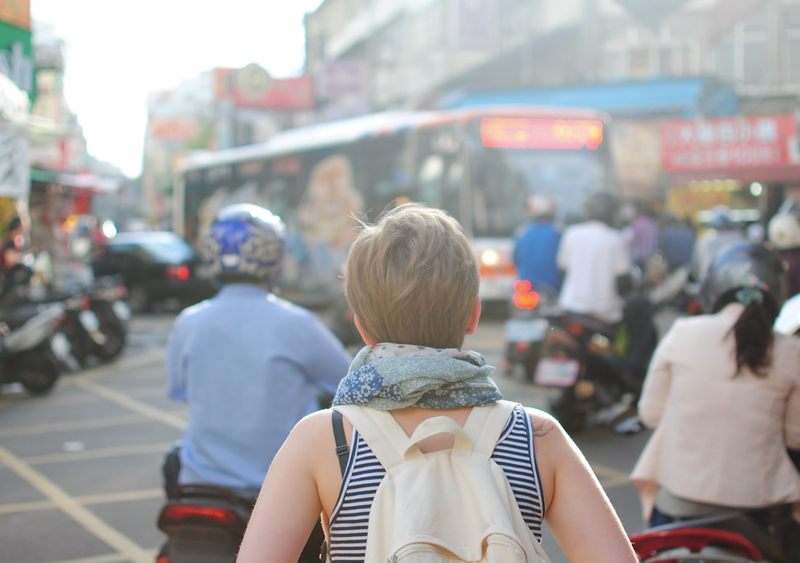 Buying a garage, farm or industrial building from a company like MyKit is not like buying the car that sits under it. Whilst the Commodore you buy in Caboolture is identical to the Commodore you buy in Cairns, the 6 x 6 garage you buy in Caboolture is most definitely not the same 6 x 6 garage you buy in Cairns. With shed structures, where your shed is going determines what shed you need to buy. This is because Cairns is subject to cyclones and cyclonic wind forces. So a shed in Cairns might need to be designed to withstand gale force winds of say 300 km/hour. Whereas a shed in Caboolture, where there are no cyclones, will only need to be designed to withstand winds of say 140 km/h. 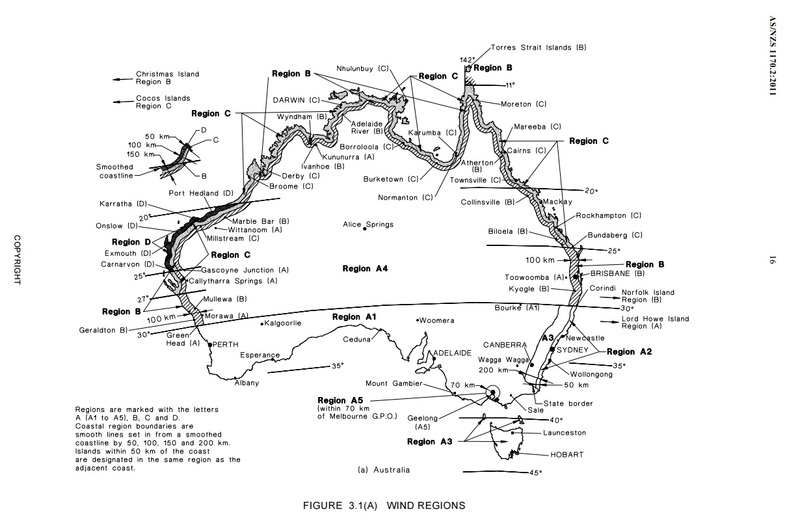 That’s the first bit, Australian Regions A, B, C or D.
What else influences the engineering of sheds? Terrain Category & Shielding. To visualise terrain category and shielding imagine a building in any region of Australia that’s built on the sea front, say St. Kilda beach and the same one a few kilometres down the road in Melbourne CBD. Clearly if a big wind comes across the sea, a shed would be much more exposed on the sea front than the same shed that’s shielded from the surrounding buildings. 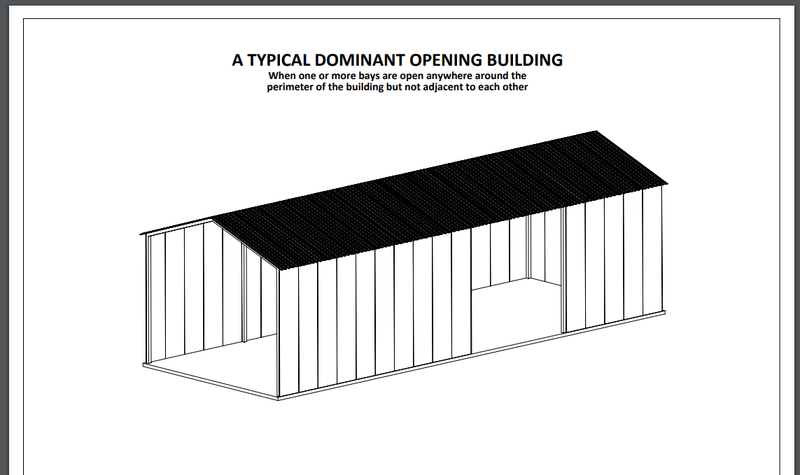 Same as in an open terrain on a farm where a shed can be shielded from other sheds around it, or trees. Perhaps the shed is being built at the bottom of a hill – or the top? This positioning of a shed determines the engineering of it, subsequently the cost. The Wind Chart below gives you an explanation of how Terrain Category and Shielding influences building design. Building type has nothing to do with where the building sits, it’s about the building itself. Imagine a building with walls all round (Fully Enclosed) and wind pushing against those wall. 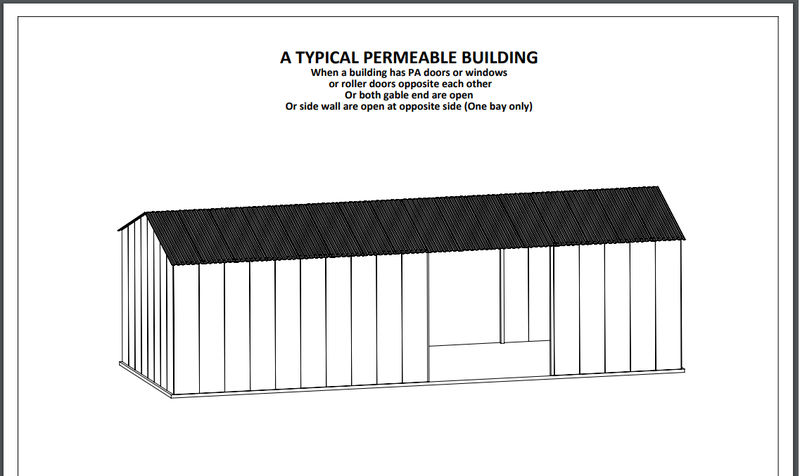 Obviously the wind would tend to wrap around the shed so the engineer would design the shed to withstand those forces. 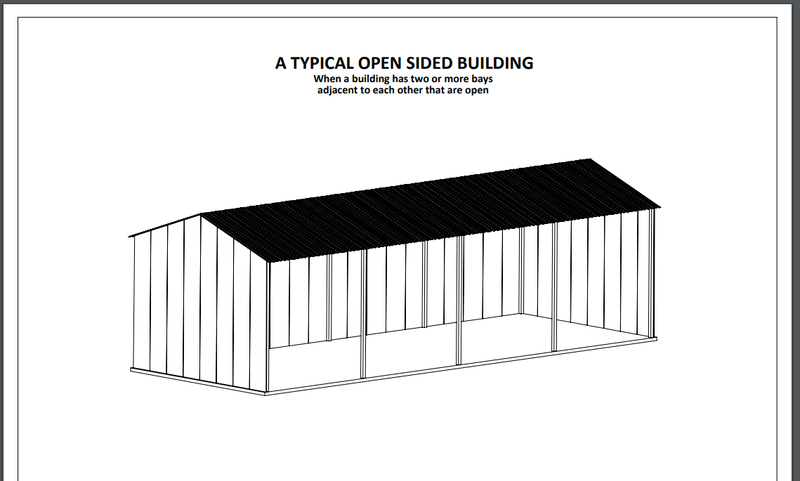 On the other hand if the shed was a farm shed that had three sides closed and one side open (Open Sided) the wind would be caught in the open side and tend to blow the building up from the inside, sort of speak. 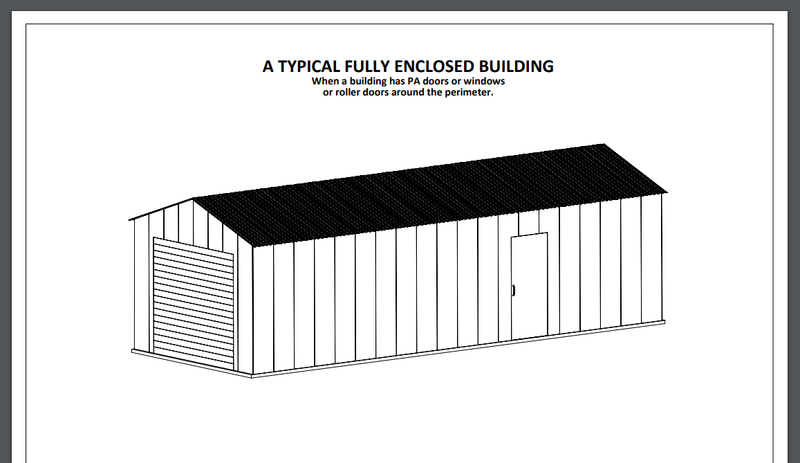 Here the engineer needs to design a stronger shed for exactly the same area. The pictures below give you an idea of Building Type. Last but not least is Building Class. Building class is the Importance level of a building. How important is this building. If it’s a shed to house a car where no people work or live in that shed. So technically if the building was to fail the only perceived damage would be to the vehicles underneath it, the shed is of low importance (class 10a) and can be design to a lesser standard. 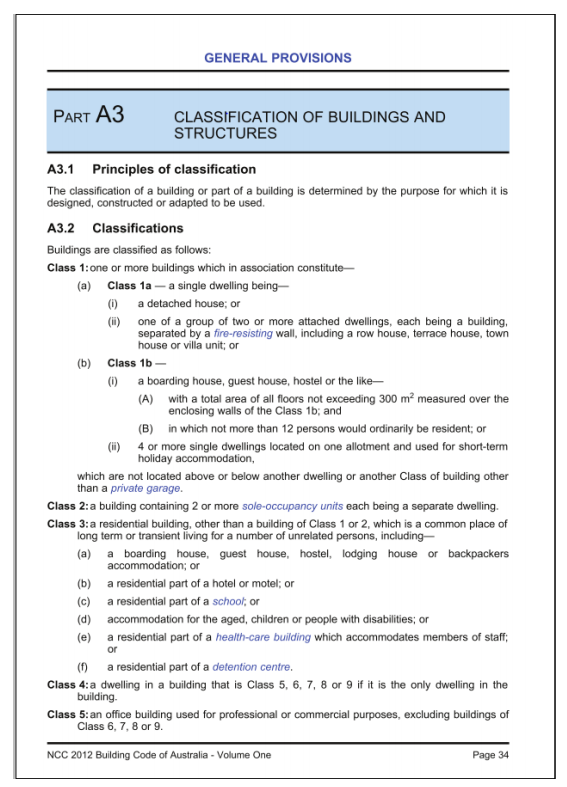 If the building was say was a house (class 1) it’s a different story because a class 1 building is a habitable dwelling (a house) and if a house falls down, it endangers life. So the engineer takes extra precautions when designing this building. 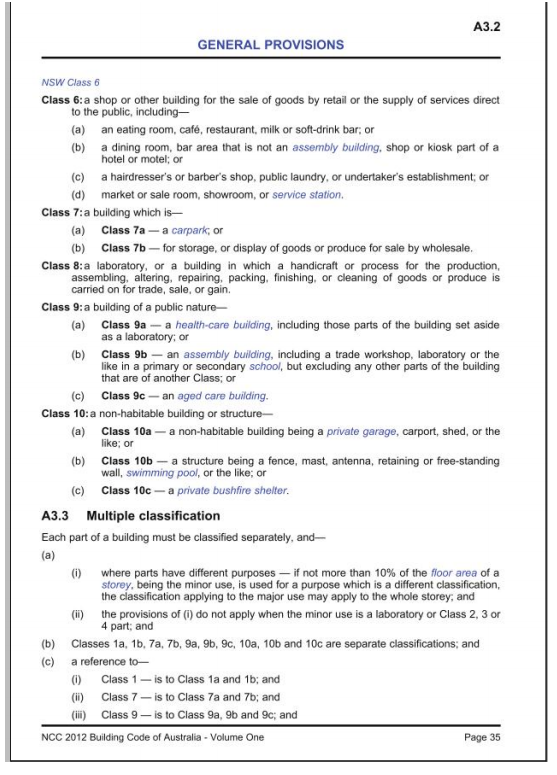 The chart below shows the various Building Classes. There is a lot to consider when designing a shed that has to meet a multitude of safety factors. 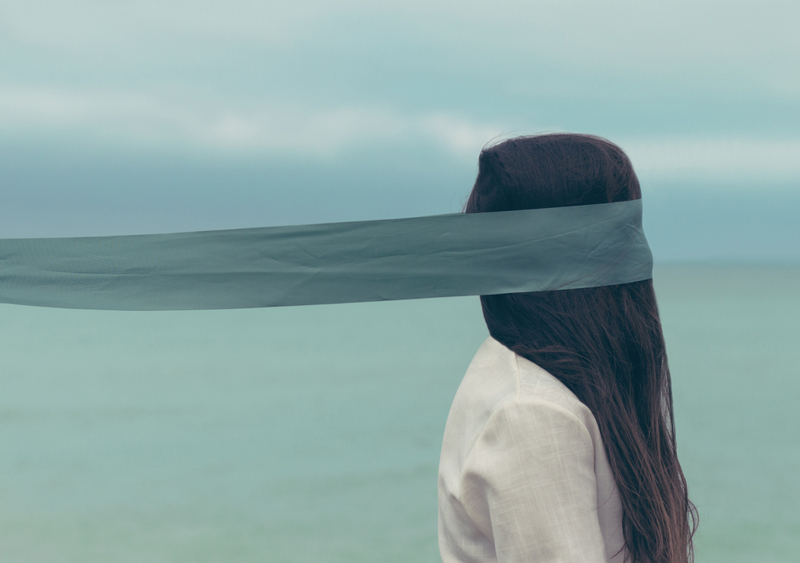 So if you are in the market for a shed consider these things as the cheaper price you have been offered might not be just a competitive price, it might be an unsafe shed.